Based in Herefordshire, Whitney Sawmills is well established as a leading British sawmill. For many years we have supplied fresh sawn Oak and Douglas Fir beams as well as air- and kiln-dried timber including Oak, Ash, Sweet Chestnut, Sycamore, Cherry, Elm, and Poplar. We are also renowned for providing unusual and specialist hardwoods and softwoods in demand for particular restoration projects as well as furniture making and house-building. For example, timber from Whitney Sawmills has been selected for restoration work in both HMS Victory and the King’s dining room in Edinburgh Castle - view case studies for more details. Recently we have become part of the UK charity, Woodland Heritage which is working to improve and promote this country’s whole timber supply chain from tree planting and management, through processing to quality end products. Our aim is to continue to source an increasing amount of our log supplies from well-managed UK woodlands and estates, as well as from Europe, to help promote the sustainability and legacy of our native timber. 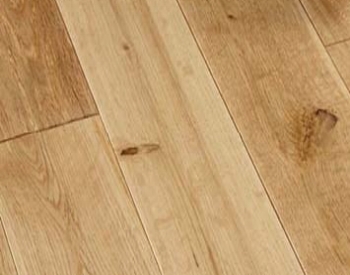 We are nationwide suppliers of T&G solid wood (oak) flooring, skirting, architrave, cladding, oak beams and many other products for joiners, cabinet makers, timber framers, builders, architects and DIY woodworkers. We will also continue to be happy to assist in advising and providing for bespoke orders or particular projects. After a decade of collaboration with Woodland Heritage in delivering their ‘Woodland to Workshop’ courses, Whitney Sawmills was acquired by the Charity in 2016. 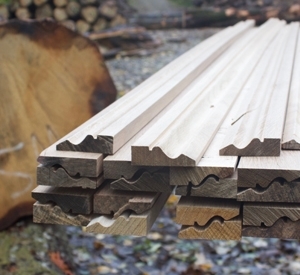 Being at the centre of the timber supply chain, Woodland Heritage believes that sawmills and the skills required to work them, are a crucial part of the British timber industry. With the right approach, a healthy future exists for those that remain; something that the Charity wanted to demonstrate by taking over Whitney Sawmills. Although we concentrate on sawing Green Oak beams and Douglas Fir beams we regularly saw beams, cladding, planking and many other products from a variety of other timbers which are naturally durable and suitable for exterior work. Whitney Sawmills specialises in the supply of both air-dried and kiln-dried timber, including English Oak, from well-managed forests in the UK and Europe. Our on-site kiln allows us to dry timber uniformly to get a regular moisture content throughout the wood. Over the years the mill has supplied many exciting prestige projects such as fine English Oak for the King’s Dining Room in Edinburgh Castle, or Sweet Chestnut for the royal row barge, Gloriana. More recent projects include milling Oak and Elm for the restoration of HMS Victory and, more locally, the rebuilding of Grade 1 listed Llwyn Celyn just over the border in Wales. Elm from Aberdeenshire estates milled by Whitney Sawmills for use on board the HMS Victory in restoration work planned for Admiral Nelson’s 250-year-old flagship. Herefordshire Oak supplied from Whitney Sawmills supplied to John Nethercott & Co. for restoration of the King’s dining room, Edinburgh Castle.